Where: Chabot Space and Science Center, 10000 Skyline Boulevard, Oakland, CA. Entry: Entry in the tournament is free with admission to Chabot Space and Science Center. 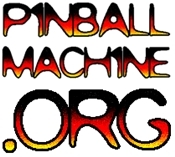 Who may enter: We invite players of all ages and skill levels to participate, and whether you win or lose, you will become a world-ranked pinball player! Chabot Space and Science Center and the Pacific Pinball Museum have partnered to showcase over 30 pinball machines, kinetic exhibits and pinball artwork by local artists. Join us for an evening of pinball under the stars and show off your pinball skills in this fun, competitive event. The Short Version: Play four games during qualifying from 6 – 8:45 PM to determine your rank. The top 8 ranked players and top 4 kids will go on to play in a Final at 9 PM. Qualifying Round: The qualifying round will run from 6 PM to 8:45 PM and will be on a first-come, first-served basis. In the qualifying round, each entrant will play four machines one time each and their performance will be ranked. The top 8 Open Division and top 4 Kids Division players will then face off in a Finals Round. Kids Division players who happen to play well enough to qualify for the Open Division Finals will have the option to do so. Ties: If two or more players tie at the end of qualifying, a tiebreaker game will be held to determine which players will advance. Finals: The Open Division consists of two 4-player semi-final games which will be seeded and ordered as follows: 8-6-3-1 and 7-5-4-2. The top two players from each game will advance to the 4- player Final and will be seeded based on the Qualifying round. The Kids Division Final will consist of one 4-player game and will be seeded based on the Qualifying Round. Nudging: Nudging is part of pinball and is encouraged. Slap saves, slide saves, and bumping/nudging the machine are allowed. A nudge may end the ball in play, however, in extreme cases the nudge may carry over to the next ball (a “tilt-through”). During the Final rounds, if a tilt-through occurs, the player committing the tilt through receives a score of zero. The affected player will finish their game and then receive a single additional ball to play which shall be added to their score. During single-player play, the tilt-through will not be compensated with a restart or additional ball. Abuse: Abuse of the machines is not allowed. Abuse includes, but is not limited to, hitting/slapping the glass, kicking the legs, picking the game up or excessive shoving of the game. Abuse of the machines, depending on the nature of the infraction, may result in a warning, disqualification of a single game or disqualification from the event. Coaching: Coaching is allowed from outside the tournament area (i.e. behind the guide ropes). Players who are not actively playing a qualifying game must vacate the playing area. Malfunctions: It is the player’s responsibility to report malfunctions, stuck balls or other events that affect play, as soon as possible. The player should “trap” the ball if possible, or report the malfunction at the end of the current ball. What constitutes a malfunction is ultimately up to the tournament organizer, but what will not be considered a malfunction includes, but is not limited to: A “tilt”, a ball jumping over the flipper or lane guide into the trough, a tilt-through in a single-player game (when the game is moved sufficiently to end both the ball in play and the following ball). If a malfunction occurs that negatively impacts the player but the player continues play, the player has consented to play on with the malfunction. No compensation will be provided (such as being allowed to replay the game). This is still the case regardless of whether the player was aware that a malfunction occurred. For example, if a ball becomes stuck and the player attempts to free the ball via nudging which in turn causes the game to “tilt”, the tilt stands. However, if a ball becomes stuck and an official is notified, the ball will be freed and placed either on the upraised flipper or in the shooter lane. If a malfunction occurs which benefits the player and the player does not report it, the tournament director will make a ruling based on the circumstances, which may include replaying the game, disqualification of the game or disqualification from the tournament. For example, if the player has not earned any extra balls but the game continues to feed balls into play, the player is required to report the malfunction as soon as possible. Player Conduct: This is a family event to promote fun, friendly competition, and players are expected to comply with Chabot Space and Science Center’s rules and staff. Misbehavior by players including, but not limited to: excessive swearing, abuse of the machines, arguing with staff, bullying other players, or otherwise acting excessively outside of the spirit of the event may be disqualified from the tournament.